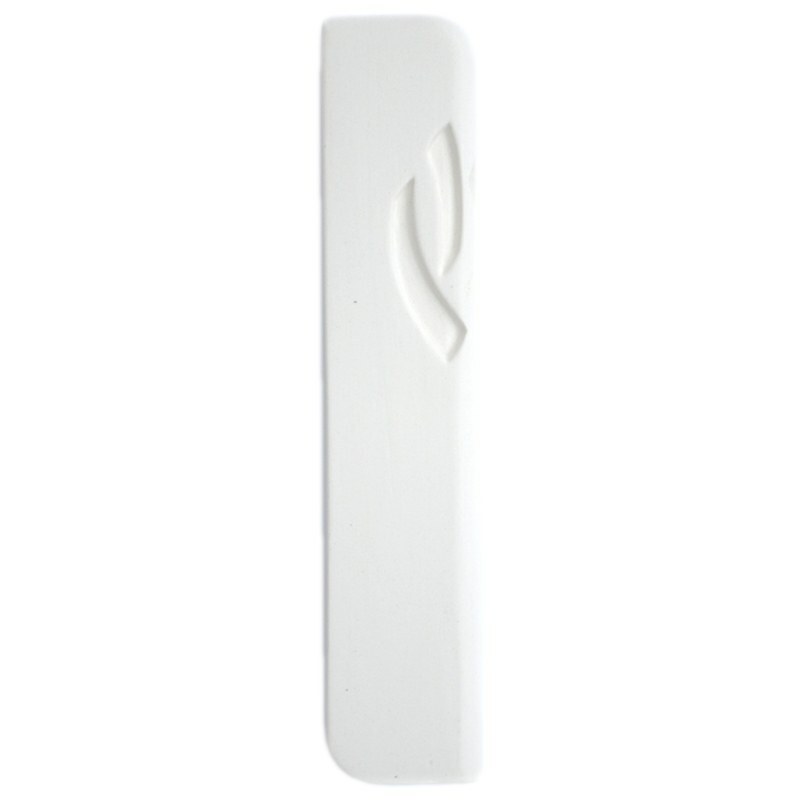 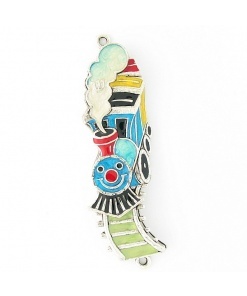 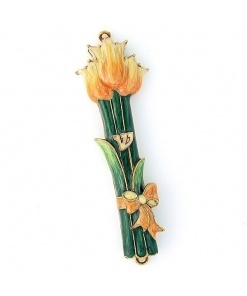 Medium White ceramic Mezuzah case, a contemporary piece of handmade Judaica with a loving attention to detail. 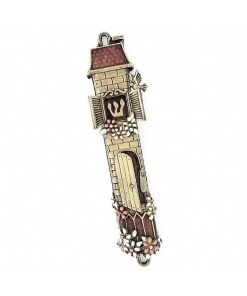 In Jewish tradition, the Mezuzah case holds a parchment with verses of a prayer, and placed on the doorpost of a house as a sign of faith. The Hebrew letter Shin” symbolises the word God, or the Guardian of the Jewish doors. 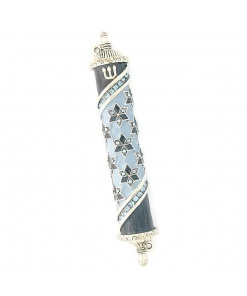 This Mezuzah design is minimal, the letter “Shin” has a 3D twist, a great Jewish housewarming gift or a chic Jewish wedding gift. 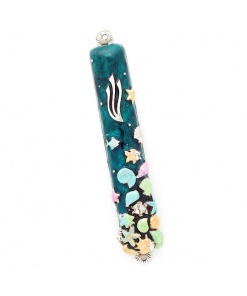 Can be used for an 8cm scroll, a 10cm scroll, or a 12cm scroll. 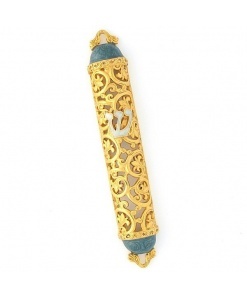 Can be placed on any doorpost! There are two stripes of strong double-sided adhesive on the back of the mezuzah. We use Scotch® Outdoor Permanent Mounting Tape by 3M company, an Industrial quality adhesive that can be used for outdoors and is very conformable. 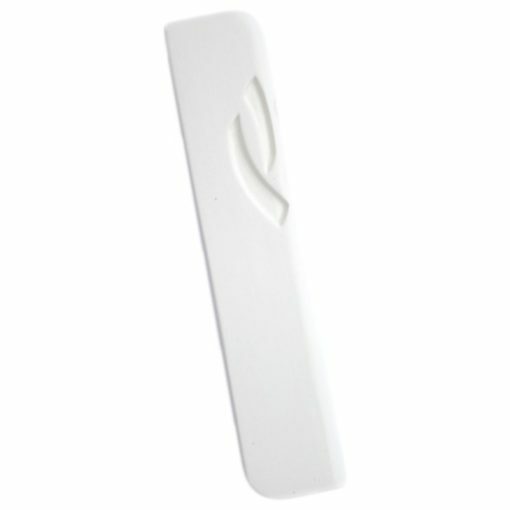 Its Weather-resistant and can be used on a variety of surfaces such as painted cement or brick, tile, ceramic, and more. 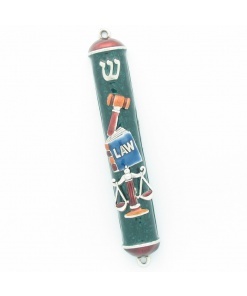 In order to place the mezuzah just clean the doorpost from dust, peel off the red stripes from the adhesive, put the Klaf inside the mezuzah and place it.